Florida has some of the strictest limits on medical negligence lawsuits in the country. Although the state’s courts have rolled back some of these limits, malpractice victims often face an uphill climb just to get their day in court. And while health care professionals (and Florida legislators) insist restricting victim’s rights are necessary to guard against sudden, uncontrolled increases in the cost of malpractice insurance, a pair of studies recently published by a leading coalition of consumer and public interests groups suggests the real culprits are the insurance companies themselves. Americans for Insurance Reform (AIR) is a project of the Center for Justice & Democracy at New York Law School. AIR represents more than 100 consumer and public interest groups who oppose so-called “tort reform” that restricts the ability of injured patients to seek compensation for medical negligence. Since 2002, AIR has published a series of studies designed to illustrate the lack of any scientific connection between the adoption of malpractice lawsuit restrictions and lower insurance premiums. Contrary to the claims of medical and insurance industry groups, AIR’s studies have consistently found “that medical malpractice claims and premiums are the lowest they have been” in 40 years. This is the case in all states regardless of whether they have “enacted severe medical malpractice tort restrictions.” To the contrary, the evidence shows insurance rates actually declined a higher rate in states that have not followed Florida’s lead in adopting caps on medical malpractice damages. The reason malpractice insurance rates periodically rise, AIR said, is “because insurance companies make most of their profits, or return on net worth, from investment income.” In other words, when the stock market is down, insurers make up for their losses by raising premiums. This creates a purported “crisis” which is then incorrectly blamed on a rise in medical malpractice judgments. 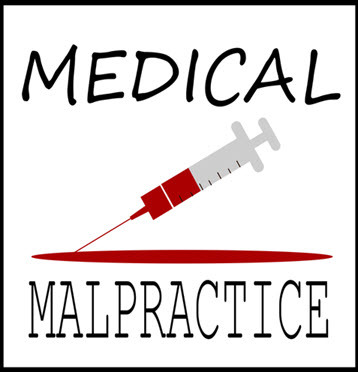 The political debate over medical malpractice limits will continue for some time. AIR noted there have been a number of proposals to amend or replace the federal Affordable Care Act (i.e., “Obamacare”) that would include new restrictions on medical malpractice awards. Because this is a constantly evolving area of the law, it is important to speak with an experienced Clearwater medical malpractice attorney if you are considering suing a health care provide for negligence. Contact the Law Office of Paul B. Genet, P.A., at (727) 538-8865 to speak with an attorney right away.